Tylenol 3 is composed of two analgesic or pain-relieving drugs: acetaminophen and codeine. Inactive ingredients complete the composition of this medication. The formula is 300 mg of acetaminophen and 30 mg of codeine, according to RxList. 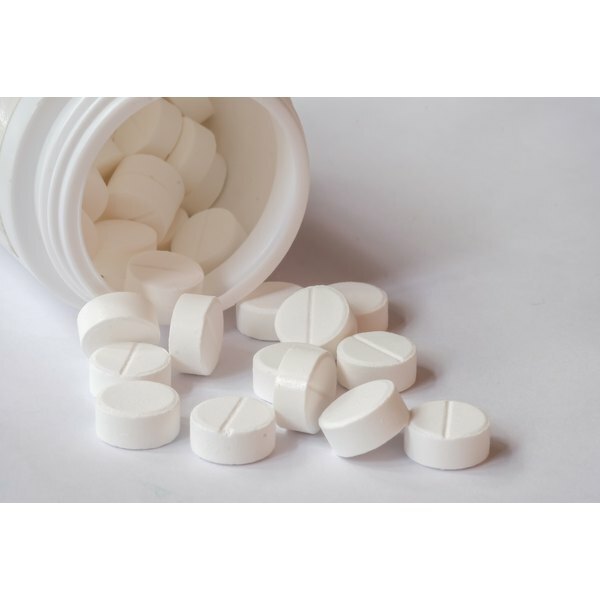 Acetaminophen and codeine are combined to achieve a more effective pain relief treatment. The recommended adult dose is one to two tablets taken orally every four to six hours as necessary. Acetaminophen is an analgesic and antipyretic drug with no anti-inflammatory properties. (It is not effective in reducing inflammation.) According to The Free Dictionary, it is recommended as an analgesic drug for the relief of mild to moderate pain and as a antipyretic drug for the treatment of fever. Codeine is a narcotic drug that is derived from opium. It is recommended as an analgesic drug for the relief of mild to moderate pain and as an antitussive treatment that controls nonproductive coughing. Inactive ingredients in Tylenol 3 are powdered cellulose, magnesium stearate, sodium metabisulfite, pregelatinized starch and modified starch. Powdered cellulose and magnesium stearate are fillers that are added to increase the bulk volume of the tablet.The additional bulk is only added to aid in the manufacturing process and make a product that is easy to handle. Sodium metabisulfite is a preservative agent. Pregelatinized starch and modified starch are thickening agents that are used to stabilize the product.